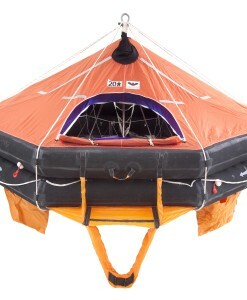 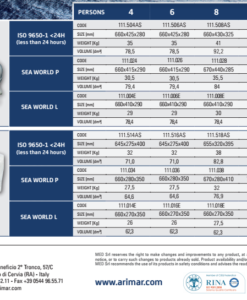 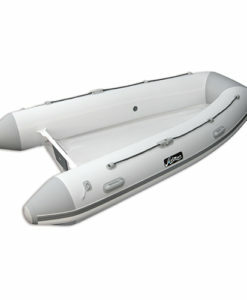 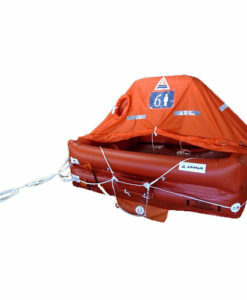 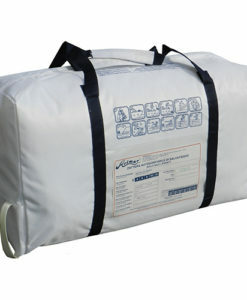 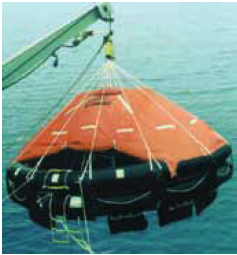 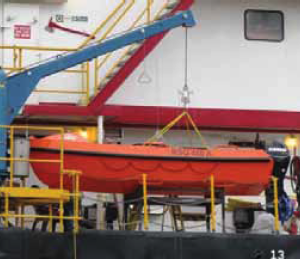 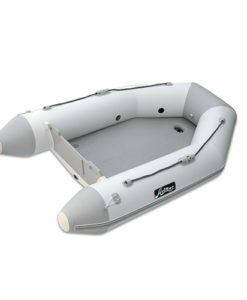 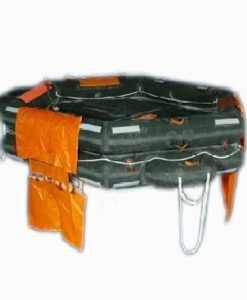 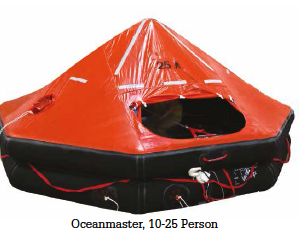 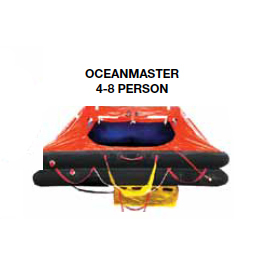 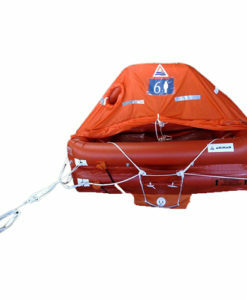 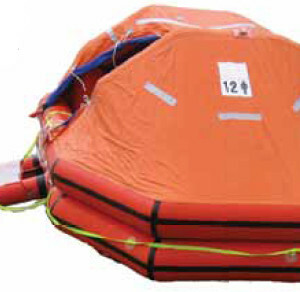 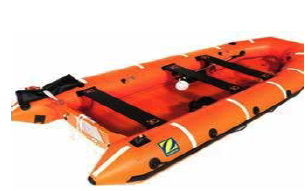 All SurvitecZodiac Rescue Boats are SOLAS approved. 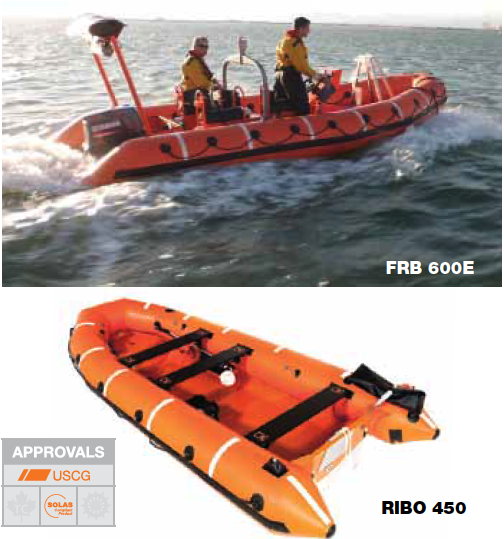 The RIBO 450 is a 4.5m six person boat can be launched using a 4 point sling and approved release hook – SWL > 950kg & < 1.5 tonne. 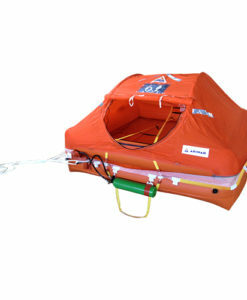 The FRB 600 is distinguished from the RIBO 600 by the addition of a single point lifting frame. 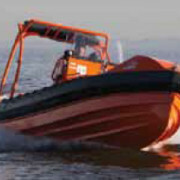 It is delivered supplied with a 70hp SOLAS approved outboard motor as standard and is further ﬁ tted with two 70 liter fuel tanks.